A collaboration of dentists, dental organisations and homelessness charities (including Pathway, Groundswell, Streets Kitchen, Den-Tech and Dentaid) have published a response to an article in the Guardian in which people experiencing homelessness were described by Mick Armstrong, who chairs the British Dental Association as “no hopers” in the context of the current NHS contract. The letter is a reassurance to both the public and people experiencing homelessness that despite frustrations about the current dental contract there is hope and that good work is taking place across the country through a range of innovative initiatives to provide accessible care for vulnerable people. 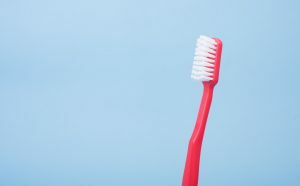 In a recent article published in the Guardian, the head of the British Dental Association referred to people experiencing homelessness as “no hopers” in the context of current dental commissioning. We—a coalition of members of the dental profession, dental charities and homelessness outreach organisations—strongly reject the message that this article is sending to vulnerable individuals and the wider public. Commissioning models need to be sufficiently flexible to embrace innovative approaches to providing high quality care to those most at need. Good examples include Community Dental Services who provide dental care for homeless people at multiple locations across the country.Based in Plymouth, Peninsula Dental School offers free dental care at four locations, and supports dental students to provide outreach advice at local homeless shelters. Den-Tech provides same-day denture services for people experiencing homelessness. In Manchester, Revive Dental Care offers drop-in dental clinics for vulnerable people. Dentaid holds free monthly clinics in Southampton and their ‘mobile dental unit’ visits night shelters and soup kitchens around the country. In November, these and many others will meet in Birmingham for the ‘Homeless and Inclusion Oral Health’ conference, organised by The Faculty for Homeless and Inclusion Health, hosted by Pathway. The commitment of these groups is beyond doubt, but their tireless efforts should not give space to government to ignore its responsibility to commission adequate healthcare services. If you would like to contact us, please send your email to: inclusivedentistrygroup@gmail.com.